Chief Kamiakin was a leader coming from the tribe of Yakama. He is said to have lived for approximately 77 years. His name, Kamiakin, has the meaning of “he won’t go”. His rise to prominence in the Native American history is during the time when they were fighting against the white settlers. His family line has long been in the leadership arena, with several of his ancestors being able to attain the position of chieftainship. With his parents coming from different tribes, Kamiakin is a product of two cultures, and expectedly, he was adept in the two. According to historical accounts, Chief Kamiakin is one handsome lad during his time. He used the Sahaptian language in communicating to his tribes and to the enemies. It was said that him being a chief is already a certainty considering his ancestors being able to generate several chiefs across two different Indian tribes, a not so easy feat during the early days of the Native Americans. For one, his grandfather on the side of his mother was once the Chief of the Yakama tribe. It is only logical that Chief Kamiakin was able to understand and absorb identities from the different cultures he grew up with. However, due to the relocation, he ended up being the leader of the Yakama tribe. This physical attractiveness had been one of the Chief’s tickets to power during his time. Through some time, he was able to collect stable connections through his marriage with the daughters of different chiefs. This along with the connections he had established through his other wives, as well as the pool of connections his own family has acquired in the past, Chief Kamiakin is one influential chief during his time. Chief Kamiakin has led his tribe to different treaties. One was the Walla Walla Treaty, a treaty that has paved the way through the creation of the Yakama Reservation. Along with the Yakama tribe, he was also able to hold the reigns of the tribe Palouse and Klickitat. His being able to hold power into these tribes is attributed to the carrier power of the name of his parents. 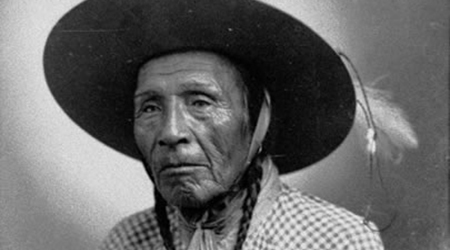 However, he settled fully in the Yakama tribe at the age of 10. It was during this transfer that Chief Kamiakin’s skills in horses were discovered. This became possible due to the fact that his tribe was highly known for the horses that they owned. It did not exactly stop there as the chief was also made accustomed to the nature of the lakes. Many accounts said that Chief Kamiakin is born a natural leader. At an early stage, he was already able to showcase his capability to lead. This is basically where his chieftainship became a huge possibility. He was naturally imposing, making it also wired in other people to really trust and look up to him. As a member of the United States Exploring Expedition, Chief Kamiakin’s looks and imposing characteristic was what made him an ideal candidate for being a chief. It further added that his father was also a chief, making him more worthy of the fear and respect. However, Chief Kamiakin did not stop there. He further married chiefs’ daughters. These connections have made him legible for being a chief himself, considering the contribution of the respective chiefs that were mentioned. This happened around the 1840s. At the same time, his other three wives were considerably women who are not exactly approved of by his family. Fortunately, these marriages were more strategic for him considering the families of these women. As the chief of the tribe, the main focus of Chief Kamiakin was the improvement of the agriculture, specifically the farming and the irrigation part of the whole ordeal. He invested in cows and horses in order to study the yield of the lands. For one thing, he is the sole responsibility for one major happening in the Yakima Valley, and that was the creation of the mechanism for irrigation. The irrigation improvement in the tribe has paved the way for the establishment of more power and wealth of the tribe. Not only that, he also was the Chief responsible for the acknowledgment of cattle as good members of the livestock for the tribe. Also, Chief Kamiakin was known for being a generous leader, which explains why he was completely accepted by his tribe. Not only that, his negotiation skills were also commendable. Unfortunately, the death of a certain Agent Bolon has paved to the Yakama War. Due to his connections with the U.S. Troops, he was accused of being the murderer. Despite the long resistance, he eventually ended up leaving the tribe. He transferred to the tribe of his father, the Palouse. There, he also became a chief.